Recipient of a Christianity Today 1993 Critics' Choice Award Now in paperback! 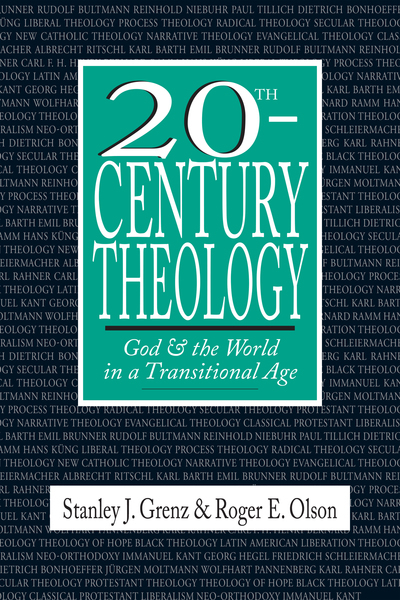 Stanley Grenz and Roger Olson offer in this text a sympathetic introduction to twentieth-century theology and a critical survey of its significant thinkers and movements. Of particular interest is their attempt to show how twentieth-century theology has moved back and forth between two basic concepts: God's immanence and God's transcendence. Their survey profiles such towering figures in contemporary theology as Karl Barth, Rudolf Bultmann, Dietrich Bonhoeffer, Reinhold Niebuhr, Paul Tillich, Jurgen Moltmann and Wolfhart Pannenberg. It critiques significant movements like neo-orthodoxy, process theology, liberation theology and theology of hope. And it assesses recent developments in feminist theology, black theology, new Catholic theology, narrative theology and evangelical theology. An indispensable handbook for anybody interested in today's theological landscape.